I've bookmarked a few gussied up hot dog recipes lately in an effort to hold on to Summer. 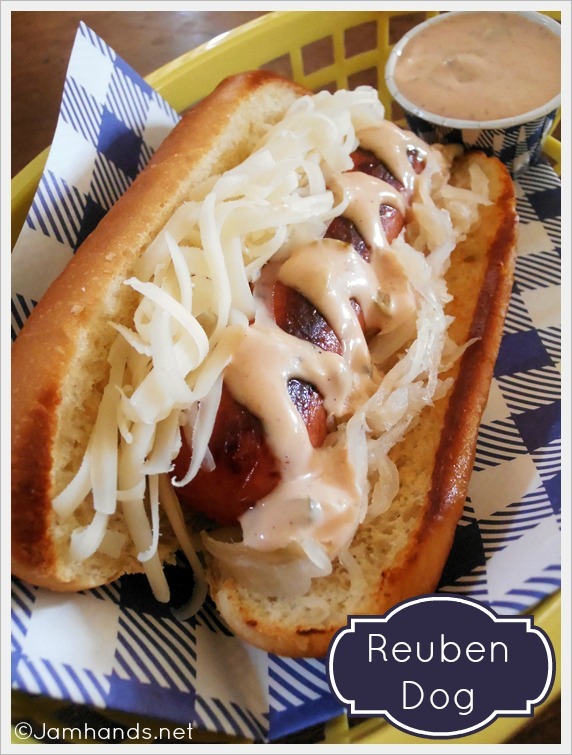 This Reuben Dog, courtesy of Noble Pig, is a very quick dinner that is satisfying and delish. The sauce is made from scratch and tastes great, requiring only a few ingredients that most cooks have on hand. Enjoy! Combine mayonnaise, ketchup, relish and Worcestershire; season with salt and pepper. 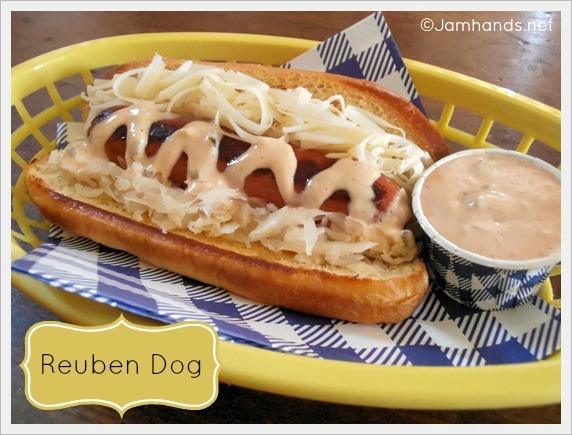 Top hot dogs with Swiss cheese and sauerkraut and sauce. Yummy! My husband will love this! !